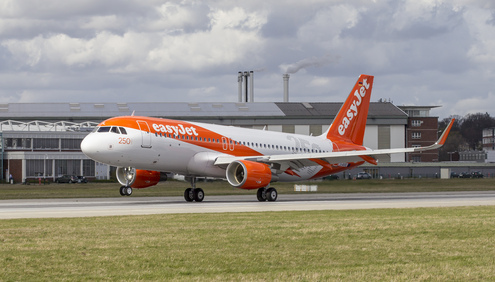 easyJet, Europe’s leading airline, has announced a partnership with Signature Flight Support that will enable easyJet passengers to use Signature Flight Support’s luxury private jet terminal at London Luton Airport. London Luton is Britain’s busiest airport for private jets – popular with celebrities like Brad Pitt and Taylor Swift and famous for the distinctive livery of planes belonging to Lewis Hamilton and John Travolta when they fly in.easyJet passengers can now choose to arrive and depart from Signature’s newly opened luxury terminal, leaving their cars parked right outside the front door.. Customs, immigration and security screening is all performed at the Signature terminal and customers will enjoy all of the amenities and refreshments whilst relaxing in well-appointed luxury lounges. When departing for a flight, a Signature Flight Support luxury car transports passengers directly to the aircraft where they can board at their leisure while their luggage is transferred to the aircraft..
“We’ve teamed up with Signature Elite to offer our customers a luxury private terminal experience when they fly with easyJet at London Luton Airport. The service costs £475 for one passenger and £120 for any additional travellers in the group. Passengers interested in the service can make a reservation at www.signatureeliteclass.com. London Luton Airport is Britain’s busiest airport for private jets with three private terminals and around 30,000 arrivals and departures each year – roughly a quarter of all such flights in the UK. easyJet flies on more of Europe’s most popular routes than any other airline. easyJet carries 73 million passengers annually, of which around 20% are travelling on business. easyJet flies over 250 aircraft on more than 800 routes to over 130 airports across 31 countries. More than 300 million Europeans live within one hour’s drive of an easyJet airport. This entry was posted in Airlines, Airports, Business, Corporate Travel, Travel, Travel Management, Travel Services, Travelers and tagged Andrew Middleton, easyJet, Evie Freeman, London Luton Airport, luxury private jet terminal, Signature Flight Support’s. Bookmark the permalink.